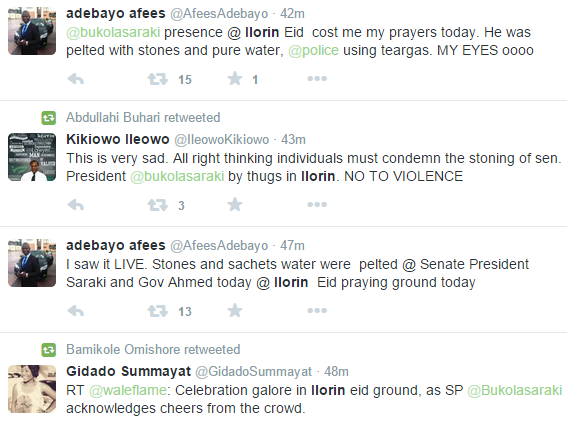 After reports were confirmed yesterday that some officials of Kwara state might be stoned at the Eid prayer today. 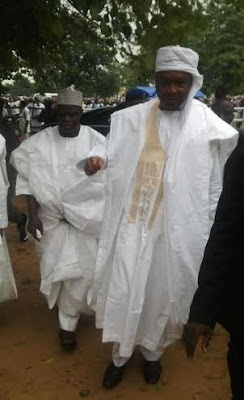 The senate president, Bukola Saraki was reported to have been stoned by some hooligans at the prayer ground which led to firing of tear-gas by police officials and disruption of the prayer. Currently the Senate president is yet to confirm the incident, but there are tweets courtesy Lindaikejiblog confirming the incident.